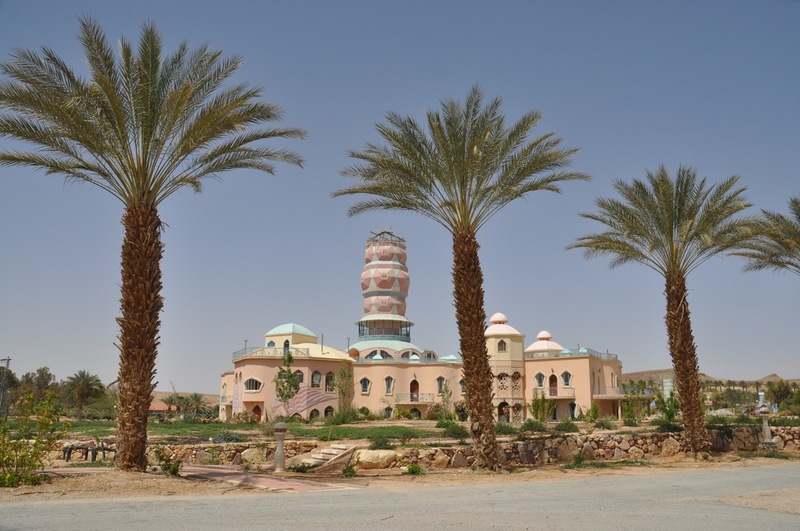 Rather than driving all the way down to Eilat on highway 90 you might want to consider a detour, taking a right onto highway 13 and then a left onto 40 which follows the Israel Trail. 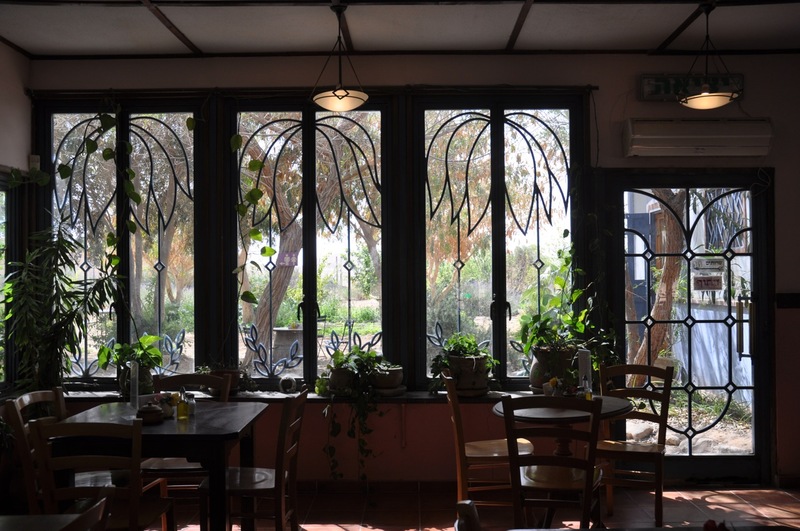 After 38 km you’ll come to Shizaphon Junction where you’ll find an organic, vegetarian restaurant run by the folks of Kibbutz Naot Smadar, a lovely place to take a break. At the Pundak you can also buy products from the kibbutz, artisan goat cheeses, bread, jams, fruit leather, dates and wine – everything you’d need for a picnic. I highly recommend that you try their goats yoghourt ice cream with the homemade apple cake. Mmmm, delicious. From the junction if you continue on highway 40 you’ll come to the kibbutz itself, like a magical kingdom appearing out of the desert. Many of the kibbutznikim are artists and they’ve built a studio space and gallery that you can visit. Afterwards retrace your steps and take highway 12. After about 3 km there will be a dirt road to your left that will take you to Shaharut where you can sleepover and go on camel trips. Afterwards retrace your steps and continue on highway 12 south for about 50 km until you see the cutoff for the Red Canyon – Wadi Shani on your left. Follow the dirt road to the parking area. 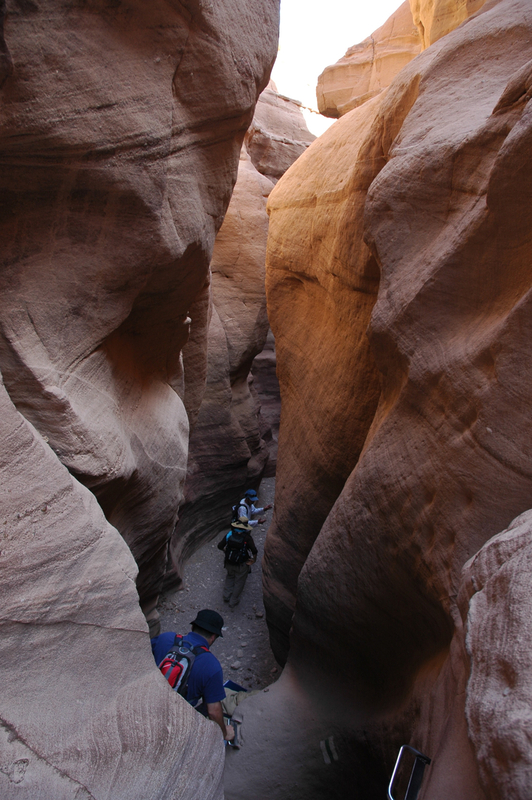 From there you follow the green trail markers and descend into the small canyon, no more than 3 meters in width with a height of up to 30 meters, created over years by water erosion of the sandstone. The dominant color of the rock is red with shades of pink and purple. It reminded me of a smaller version of the canyon at Petra. The hike is suitable for families. To return either retrace your steps through the canyon (if there aren’t a lot of people) or climb up out of the canyon where the streambed widens and take the path with a great view of the canyon below. The Red Canyon is one of the places that I recommend to people who are interested in a tour focussed on photography. If you are continuing to Eilat there are 2 lookout spots that are worth stopping at: Har Hizqiyahu at 838 meters for a view east to the Edom Mountains in Jordan and west to Moon Valley in Egypt and Mount Yoash at 734 meters from which you can see 4 countries on a clear day: Jordan, Egypt, Saudi Arabia and Israel. This entry was posted in Family, Food, Hiking, Nature, Photography, Water, Wine and tagged family hike, hiking israel, organic on November 18, 2010 by Shmuel Browns. 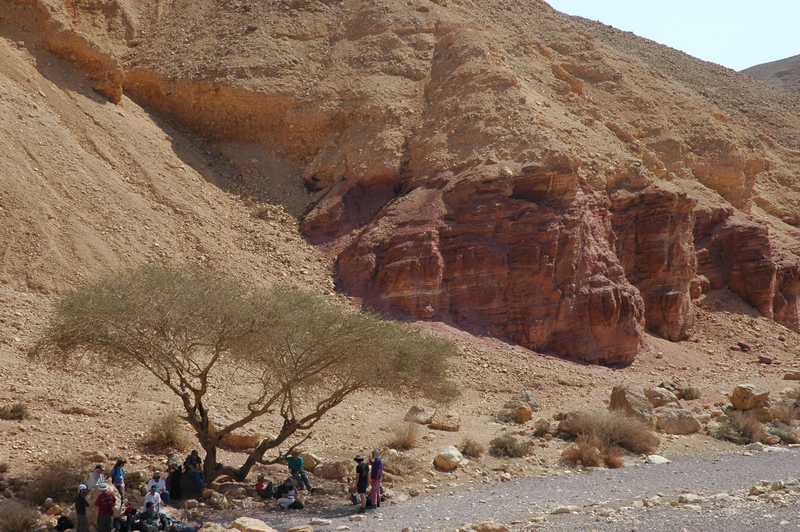 I hiked through a valley that looked like this, near Eilat, about 20 years ago, when I was studying here for the year. I wonder if it was the same one! Was gorgeous, as I recall, as these pictures attest.